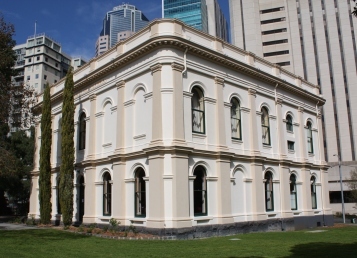 The Royal Society of Victoria has been an active and vital part of Melbourne's scientific heritage since 1854. Membership is open to anyone interested in science and the promotion of science for the benefit of the community. Located in the heart of Melbourne, the Society's Hall is the venue for an interesting program of public scientific lectures, symposia and events to promote the sciences to the Victoria and Australian community. These lectures are open to the public. The Society building with lecture theatre, Board Rooms and function rooms is a suitable heritage place for your next meeting. The Royal Society of Victoria has "Gift Recipient Status" for taxation purposes. Donations to the Royal Society of Victoria are tax deductible. The Royal Society of Victoria acknowledges the generous support of gifts, grants, bequests and sponsorship that assist us in the ongoing promotion of science and technology in our community, and without whom many of our symposia and activities would not be possible. See the Sponsors and Supporters page for details of recent grants, bequests and sponsorships.